Have you ever had that problem where you know what you want, but when you stop to think about what it actually looks like you draw a blank…? As a coach, I help women use food and love to look and feel amazing, but often times women come to me feeling anything but amazing. They are sick and tired, feeling sluggish, run down, over stimulated and disconnected from the optimal version of themselves. You want more for yourself… for you families… and your purpose. There is a seed… a dream… a vision that lives deep within you that is yearning to be cultivated and nourished. 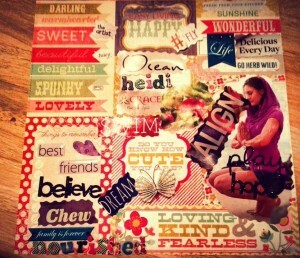 Making vision boards is one of my favorite activities to do with my clients. It’s such a great tool for getting really clear on their visions and dreams. Think of it like “hands on Pinterest.” Scizzors, stickers and glue sticks are really great ‘fertilizer’ for nourishing dreams. ALL of it takes work. Hard work. And this process not only forces you to sit down and think about it and determine what it looks like, it taps into your creative side. You know… ? That outlet that allows you connect into yourself and dream. Give yourself permission to want what you want. Even if it feels like a fantasy. If you don’t dare to wish it, you certainly can’t make it happen. It gives your brain, your heart and the Universe a beautiful visual of what you are working towards. PLUS…It entertains the kids and nourishes YOU at the same time. Kids are so good at fantasy. Show them it lives on. Foster those fairy wings. They choose pics that help them feel inspired to keep taking steps closer to the goal and hung it up in a prominent place and used it to keep reaching. This really works. Maybe not instantly, but over time, you will see that you have manifested that dream vacation or found the strength to create the lifestyle that allows you to look and feel amazing. Pick up some scrap booking supplies, 3D stickers, fabrics, word art. …and most important of all…dream big and have fun! 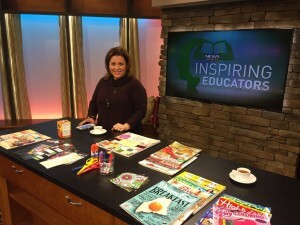 You can also DOWNLOAD my How To Make a Vision Board handout for further instructions. Keep dreaming. Keep reaching for the stars because it’s your time to #shine!